One sign carried in almost every May Day march of the last few years says it all: “We are Workers, not Criminals!” Often it was held in the calloused hands of men and women who looked as though they’d just come from work in a factory, cleaning an office building, or picking grapes. The sign stated an obvious truth. Millions of people have come to the United States to work, not to break its laws. Some have come with visas, and others without them. But they are all contributors to the society they’ve found here. This year, those marchers will be joined by the public workers we saw in the state capitol in Madison, whose message was the same: we all work, we all contribute to our communities and we all have the right to a job, a union and a decent life. 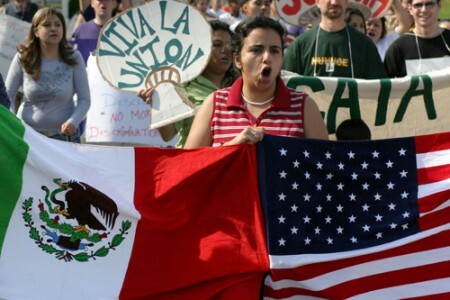 Past May Day protests have responded to a wave of draconian proposals to criminalize immigration status, and work itself, for undocumented people. The defenders of these proposals have used a brutal logic: if people cannot legally work, they will leave. But undocumented people are part of the communities they live in. They cannot simply go, nor should they. They seek the same goals of equality and opportunity that working people in the United States have historically fought to achieve. In addition, for most immigrants, there are no jobs to return to in the countries from which they’ve come. The North American Free Trade Agreement alone deepened poverty in Mexico so greatly that, since it took effect, 6 million people came to the United States to work because they had no alternative. Instead of recognizing this reality, the U.S. government has attempted to make holding a job a criminal act. Thousands of workers have already been fired, with many more to come. We have seen workers sent to prison for inventing a Social Security number just to get a job. Yet they stole nothing and the money they’ve paid into Social Security funds now subsidizes every Social Security pension or disability payment. Undocumented workers deserve legal status because of that labor—their inherent contribution to society. Past years’ marches have supported legalization for the 12 million undocumented people in the United States. In addition, immigrants, unions and community groups have called for repealing the law making work a crime, ending guest worker programs, and guaranteeing human rights in communities along the U.S./Mexico border. The truth is that undocumented workers and public workers in Wisconsin have a lot in common. In this year’s May Day marches, they could all hold the same signs. With unemployment at almost 9%, all working families need the Federal government to set up jobs programs, like those Roosevelt pushed through Congress in the 1930s. If General Electric alone paid its fair share of taxes, and if the troops came home from Iraq and Afghanistan, we could put to work every person wanting a job. Our roads, schools, hospitals and communities would all benefit. At the same time, immigrants and public workers need strong unions that can push wages up, and guarantee pensions for seniors and healthcare for the sick and disabled. A street cleaner whose job is outsourced, and an undocumented worker fired from a fast food restaurant both need protection for their right to work and support their families. Instead, some states like Arizona, and now Georgia, have passed measures allowing police to stop any “foreign looking” person on the street, and question their immigration status. Arizona passed a law requiring employers to fire workers whose names are flagged by Social Security. In Mississippi an undocumented worker accused of holding a job can get jail time of 1-5 years, and fines of up to $10,000. The states and politicians that go after immigrants are the same ones calling for firing public workers and eliminating their union rights. Now a teacher educating our children has no more secure future in her job than an immigrant cleaning an office building at night. The difference between their problems is just one of degree. But going after workers has produced a huge popular response. We saw it in Madison in the capitol building. We saw it in the May Day marches when millions of immigrants walked peacefully through the streets. Working people are not asleep. Helped by networks like May Day United, they remember that this holiday itself was born in the fight for the 8-hour day in Chicago more than a century ago. In those tumultuous events, immigrants and the native born saw they needed the same thing, and reached out to each other. This May Day, will we see them walking together in the streets again? For information about where May Day marches are scheduled to take place this Sunday, visit the May Day United website. This blog originally appeared In These Times on April 28, 2011. Reprinted with Permission. “It was a choiceless choice,” claimed Janet Chandler last Thursday night in a special discussion panel put together by GAP (Government Accountability Project) and Georgetown Law. Her choice was to blow the whistle. Janet took her case all the way to a Supreme Court victory on a False Claims Act lawsuit against a hospital she was working with. (whistleblowers.org). She was working with federal funds granted to the hospital for supporting mothers and children suffering from drug addictions. The money granted was not allocated correctly, while the hospital was forging data and failing to comply with regulations. She said she was not prepared for the consequences which followed her blowing the whistle. She struggled for years as a single mother during the litigation process which took over 12 years. Finally, Wendell Potter shared his story as a former VP for Corporate Communications with CIGNA, one of the U.S.’s largest health insurance companies. He spoke out about the deceitful tactics used in the private health care industry leading to more Americans without insurance protection. He also discussed the questionable uses of public relations budgets used to deceive the public, and engage in advertising and lobbying efforts to defeat reform initiatives in congress. 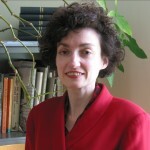 (wendellpotter.org). Potter even wrote a book, The Deadly Spin, to detail what he experienced and how the company was deceiving Americans. Wendell took full advantage of his situation by turning it into a career. He now works with and provides education to members of Congress about what the private health insurance industry is really like. Wendell said if he had not blown the whistle, he would not have gotten the wonderful opportunity to educate people on what the industry is really like. Similarly, Janet has participated in mentoring programs to educate and get the word out about whistleblowing. All of them agree that it was something they had to do to help others. They encourage people in their situations to speak out and use resources like the new book out to help them through these tough situations. Whistleblowers provide the missing link in exposing bad corporate practices. We can only hope more brave souls will come forward like these three individuals and help ride corporate deviance and illegal practices. 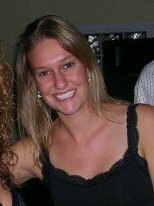 About the Author: Jesci Drake is a current law student and intern with Workplace Fairness. If a journey of a thousand miles begins with the first step, getting back into the work game begins with re-writing your resume. Sure, networking is how you’ll find an opportunity, but resumes are the foundation of your networking. A quick confession, I haven’t written a resume in fifteen years. Ever since I’d become an author, columnist and speaker, all I really needed was a paragraph or two describing my career highlights and my latest book, speech, etc. Then I’d send people a link to my speakers video and we would usually be off to the races. Post-firing, I began my resume writing path where most of us do, with the template section of the word processing program on my computer. This made me feel like a visit to a crappy used clothing store. You know what I mean, where you’re palpably aware of every other person who’d ever worn the clothing that you were currently trying on. Resume templates feel that way too, this isn’t something that will really capture you unique gifts, no it’s trying to fit a square peg of your experience into round hole of the damn template. Anyone who is fired knows what happens next. Instead of looking at that blank template with the problem of trying to fit ten pounds of experience into a one pound package, you look at the blank page and wonder if you’ll ever be able to fill it up. You ask yourself, can I get by with a three-quarter page resume? The confidence challenges of being fired are interesting, they pop up at the most unexpected times. This is probably the closest I’ve ever come to feeling like three-fifths of a person in my lifetime. But the cloud of being fired doesn’t lift off of you quickly, it lingers. And the resume process is an especially interesting part of pouring the salt into your wounds humiliation. Instead of starting to make a list of all the things you’ve done, you tend to get stuck on how to describe that last job. How to cover it up. How to make it sound like something other than what it was. How to put up roadblocks between your resume and people who will want to call the guy who fired you. I had no idea that being fired would set off so many mental gymnastics. But eventually the tide turned and the resume writing experience turned into a confidence builder. I was remembered of a lot of my past wins and I was able to craft a resume that helped me put my best foot forward. Even though this process ended on a positive note, it had many moments of walking across ice that wasn’t fully frozen. You know that creaking sound that you hear as you take each step? That’s what the resume writing process was for me, a creaky discovery of my skills that unfolded over time. My a-ha: Resume writing is the opposite of Spring, you go in like a lamb but leave the process like a lion. NLRB Issues Complaint Over Boeing’s Move to S.C.
A complaint issued on April 20th by the National Labor Relations Board (NLRB) against the Boeing Co. is a victory for all American workers—particularly aerospace workers in both Puget Sound and South Carolina, officials with the Machinists (IAM) said. “Boeing’s decision to build a 787 assembly line in South Carolina sent a message that Boeing workers would suffer financial harm for exercising their collective bargaining rights,” said IAM Vice President Rich Michalski. Federal labor law is clear: It’s illegal to threaten or penalize workers who engage in concerted activity. The decision by Boeing to locate the assembly line in South Carolina followed years of 787 production delays and an extraordinary round of mid-contract talks in which the IAM proposed an 11-year agreement to provide Boeing with the labor stability it claimed was necessary to keep 787 production in the Puget Sound area. The board’s action reinforces the fact that “workers have a right to join a union, and companies don’t have a right to punish them for engaging in legal union activities,” said Tom Wroblewski, president of Machinists District Lodge 751 in Seattle, which represents Boeing workers. Taking work away from workers because they exercise their union rights is against the law, and it’s against the law in all 50 states. Had we allowed Boeing to break the law and go unchecked in their actions, it would have given the green light for corporate America to discriminate against union members and would have become management’s new strategic template to attack employees. “A worker’s right to strike is a fundamental right guaranteed by the National Labor Relations Act,” the NLRB’s Solomon said. We also recognize the rights of employers to make business decisions based on their economic interests, but they must do so within the law. This blog originally appeared in AFL-CIO on April 20, 2011. Reprinted with permission. Before the words “Koch Brothers” became an epithet among labor activists everywhere, the oil industry barons were already persona non grata to Mother Earth. This Earth Day, let us celebrate the myriad ways Koch has touched the lives of flora and fauna alike. The Brothers Koch are primarily known as chief financiers of the anti-union showdown in Wisconsin. Koch-addicted Gov. Scott Walker and other Wisconsin conservatives pushed anti-union legislation that faithfully reflected Koch’s neo-libertarian, anti-government agenda. The grassroots backlash drew a diverse coalition of public and private sector workers, civil rights groups, and other advocacy organizations from many demographics–so broadly offensive was the bill’s attack on collective bargaining rights and critical social programs. Forward-thinking labor groups (including some in Wisconsin) have often been at the forefront of pushing for green jobs, both as a movement toward long-term sustainability, as well as toward a more balanced and equitable framework for economic development. The New York Times reported in February that Koch Industries had relatively few workers in the state and thus “no direct stake in the union debate… The pending legislation would not directly affect its bottom line.” This gave the impression that Koch’s attack on Wisconsin’s labor movement was largely ideological—hence its connections to Americans for Prosperity, the faux-populist astroturf group behind the Tea Party. However, by steamrolling labor, Koch—which has also poured millions into anti-science climate “skepticism” campaign groups—undermine the public’s ability to resist ruthless profiteering. For big oil, any policy that disempowers public institutions—whether it’s the regulatory system, public unions, or the social programs and schools that nurture civil society—expands the corporate grip on our workplaces, neighborhoods, and governments. The Koch team is quietly changing the political climate up north as well. Geoff Dembicki at the Tyee describes an intricate feedback loop in which Koch’s profits from the horribly polluting Canadian tar sands indirectly feed into the anti-science, pro-corporate and anti-labor agenda on the other side of the border. Together, America’s fifth-richest citizens — each worth $21.5 billion — own Koch Industries, a refining, pipeline, chemical and paper conglomerate that manufactures common household products such as Brawny paper towels and Stainmaster carpets. They’re also one of the biggest refiners of Alberta oil sands crude, handling an estimated 25 percent of all imports entering the U.S.
Incidentally, a pipeline that carries this oil runs straight into Wisconsin. So it’s hardly surprising that Wisconsin lawmakers obediently scrubbed a low-carbon fuel standard from an energy bill in the face of heavy pressure from the Koch lobby last April. Flint Hills was one of the biggest donors in the corporate opposition to the Proposition 23 ballot measure in California, which threatened to suspend the state’s landmark climate change law. (The referendum, which was ultimately defeated, would have not only rolled back the state’s emissions-reduction plan, but threatened major green job investments). So lest you think that the Koch brothers are union-haters pure and simple, remember that stifling democracy, starving the government and smothering the ecosystem, are all bricks upholding Koch’s oil empire. So get ready for more Wisconsin-like showdowns as the Koch Empire gears up to mow down any worker, community or habitat standing in its way. 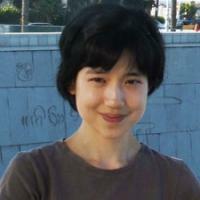 About the Author: Michelle Chen ‘s work has appeared in AirAmerica, Extra!, Colorlines and Alternet, along with her self-published zine, cain. She is a regular contributor to In These Times’ workers’ rights blog, Working In These Times, and is a member of the In These Times Board of Editors. She also blogs at Colorlines.com. She can be reached at michellechen @ inthesetimes.com. This blog originally appeared in These Times on April 22. 2011. Reprinted with Permission. Don’t Make Us Work ‘Till We Die! There was a time on this country when We, the People were in charge, and our government worked for us. Through our government we did things for each other and for our economy, and when we had economic success we paid back toward more such investment. Things are different today and We, the People are no longer in charge. In fact, We, the People are thought of now as “the help.” And lately the Powers That Be have been thinking they aren’t getting quite enough work out of us. So they want to make us Work ‘Till We Die. The country has a budget deficit caused by tax cuts for the rich, huge increases in military spending, wars, covering problems caused by the Great Recession, and interest on the Reagan/Bush debt. To address these deficits the Powers That Be are coming up with plans to raise the retirement age, eliminate Medicare and cut the rest of the things We, the People do for each other — while, of course, dramatically cutting taxes on the rich. In response the Strengthen Social Security campaign is launching Don’t Make Us Work ‘Til We Die — a website, actions, video and petition. If there is no event near you, you can participate in their Virtual Rally. This is great. Print out a sign and take a picture of yourself holding the sign. Email it to: virtualrally@socialsecurity-works.org with your City & State in the subject line, and be part of the Virtual Rally. There will be rallies in 18 states — 52 of them at last count — on April 27 and 28 where current retirees will demonstrate how hard or even impossible it would be for them to continue working at the jobs they retired from. Digby: Don’t Make Us Work Until We Die. Evidently, this is the new fate for many more of the elderly. Between raising the retirement age, skimping on the benefits, wage stagnation and economic wipe-outs like the Great Recession, young and old alike will be competing for all those low paying jobs. But since three and four generations will all have to live under the same roof, perhaps they can come up with some sort of job share concept so that they can work in shifts and someone will be at home to take care of the children. As long as it doesn’t inconvenience the employer, of course. The retirement age is already scheduled to increase, and raising it even more is nothing less than cruel. That idea’s part of the political trend toward “austerity economics,” a resurgent anti-government ideology that’sengendered a wave of enthusiastic — no, make that orgiastic prose — from well-fed pundits. Their display of almost snuff-movie-like excitement should have been predictable, but I found it shocking anyway. The Serlingesque video is part of a new campaign to fight back against the Republican budget and other proposals to raise the retirement age, turn Medicare over to Big Insurance and slash Medicaid for seniors, children and people with disabilities. Next week on April 27 and 28 in more than 50 cities in 18 states, activists from the Strengthen Social Security, Don’t Cut It coalition—the AFL-CIO and the Alliance for Retired Americans are part of the coalition—will hold events at congressional district offices to tell their lawmakers hands off Social Security. Click here to find an event near you. Everyone who has worked in a physically demanding job knows what increasing the retirement age will mean. It’s one thing to preach the necessity of this from behind a desk in a cushy office. It’s another thing to be a miner, nurse, truck driver, cook, carpenter, janitor, or a waiter at age 67 — if our bodies last that long. For those who are among the still unemployed/underemployed, and over the age of 55, the promise of Social Security in the future is what keeps us going. We can’t let them pull the rug out from under seniors who have worked long and hard, and paid in to the Social Security Trust Fund. Dean Baker at CEPR: Why Do Real Men Want to Cut Social Security? It really speaks volumes about the nature of politics in Washington that in order to be accepted as a serious participant in the budget debates, it is now necessary to affirm a willingness to cut Social Security. This is bizarre from many different angles. … If you’re ok with foregoing retirement and health care when you need it most so some CEO of a multinational can walk away with billions (trillions) and take his jobs to India, China and Pakistan, then go ahead and vote for Republicans and do nothing on April 27th and 28th, but if you want US jobs and a US middle class that provides for a dignified retirement, then join Strengthen Social Security for its events, virtually if you cannot make a meeting. 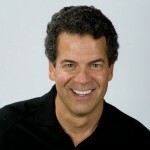 About the Author: Dave Johnson is Dave Johnson (Redwood City, CA) is a Fellow at Campaign for America’s Future, writing about American manufacturing, trade and economic/industrial policy. He is also a Senior Fellow with Renew California. Dave has more than 20 years of technology industry experience including positions as CEO and VP of marketing. 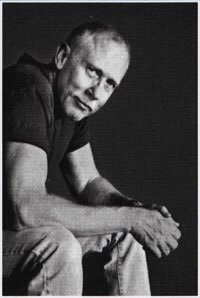 His earlier career included technical positions, including video game design at Atari and Imagic. And he was a pioneer in design and development of productivity and educational applications of personal computers. While 25 million unemployed and underemployed U.S. workers are drowning, CEO pay skyrocketed by 23 percent, for an average salary of $11.4 million in 2010, according to the AFL-CIO Executive PayWatch. Released today, data compiled at PayWatch also show CEOs have done little to create badly-needed jobs, instead sitting on a record $1.93 trillion in cash on their balance sheets. 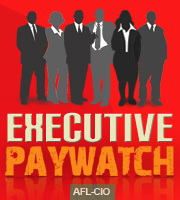 The 2011 Executive PayWatch features the compensation of 299 S&P 500 company CEOs and provides direct comparisons between those CEOs and the median pay of nurses, teachers, firefighters and others. For instance, while a secretary makes a median annual salary of $29,980, someone like Wells Fargo CEO John Stumpf rakes in $18,973,722 million—632 times the secretary’s salary. The pay gap between Wall Street and Main Street has widened egregiously—as recently as 1980, CEOs made 42 times that of blue-collar workers. Apparently Wall Street doesn’t want people to know that while working Americans paid for the economic crisis with their jobs, their homes and their retirement savings, these Teflon CEOs escaped unscathed. CEO pay has helped fuel the rapidly escalating income inequality in this country which has worsened over the past decade to levels not seen since the years before the Great Depression. The increase of income inequality prior to the 2008 financial crisis and the recent recession is striking: Between 1993 and 2008, the top 1 percent of Americans captured 52 percent of all income growth in the United States. This blog originally appeared in AFL-CIO on April 19, 2011. Reprinted with Permission. 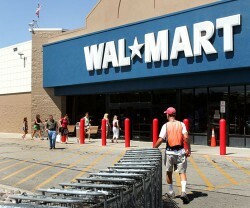 Wal-Mart is the largest private-sector employer in the United States. It employs more than 1.4 million workers here, but pays them an estimated 12 percent less than average retail workers in the country. Many argue that, while unfortunate, such low wages help poor families since by allowing them to purchase goods cheaply. However a study released on Monday by University of California, Berkeley’s Center for Labor Research and Education found that increasing wages to $12 per hour would cost Wal-Mart $3.2 billion if applied to all workers across the United States. That amounts to about 1 percent of the company’s annual sales of $305 billion. Even if Wal-Mart were to pass on the total cost of the wage increase to consumers, researchers estimate that shoppers would pay about $12.50 more per year – or 46 cents per shopping trip – to cover the cost of the pay raise for Wal-Mart workers. UC Berkley researcher Ken Jacobs doubts that all the costs of a wage increase would be passed on to consumers in the form of increased prices, because increasing prices would lower the amount of goods Wal-Mart would sell. “Wal-Mart is the largest private employer in this country and it’s dragging down wage job standards for retail and grocery workers. It can clearly afford to pay workers a well wage” says Jennifer Stapleton, assistant director of Making Change at Wal-Mart, which is run by the United Food and Commercial Workers union. Indeed, such a wage increase could really help workers. A $12 an hour wage would mean average annual pay increases of $3,250 to $6,500 for workers making less than $9 an hour, and $1,675 to $2,930 for workers making between $9 and $12 an hour. 41 percent of the pay increase would go to workers in families with total incomes of 200 percent of the poverty line—less than $21,660 a year for a single worker and $44,100 a year for a family of four. And the cost for the wage increase would not come out of the pocket of poor workers, but 72 percent of the costs of this substantial benefit would be borne by people making above 200 percent of the poverty line. Despite statistical evidence saying that raising labor prices has very little effect on consumer prices, advocates of low wages claim wages must be keep low to keep consumers good cheap. We hear this same argument applied to free trade: Goods are cheaper from China and other low-wage countries because these countries pay workers a lower wage. The new attacks on public-sector workers’ salaries and benefits in Wisconsin and other states have triggered a debate about whether labor costs place too much of a burden on taxpayers. Hopefully this debate over paying workers good wages won’t spill into tired old debates about free trade. 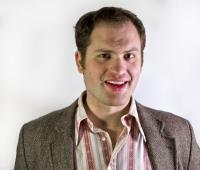 About the Author: Mike Elk is a third-generation union organizer who has worked for the United Electrical, Radio, and Machine Workers, the Campaign for America’s Future, and the Obama-Biden campaign. Based in Washington D.C., he has appeared as a commentator on CNN, Fox News, and NPR, and writes frequently for In These Times as well as Alternet, The Nation, The Atlantic and The American Prospect. This blog originally appeared in These Times on April 19, 2011. Reprinted with Permission. Over the past five years, the Mexican government has unleashed a systematic attack on workers’ rights. Despite the continuing repression, Mexico’s independent, democratic unions organize and represent the rights of workers. Some of the most egregious attacks have been on the Mine, Metal and Steel Workers Union (SNTMMSSRM), also known as Los Mineros. The AFL-CIO Executive Council, meeting in Washington, D.C., last week, awarded Los Mineros and their leader, Napoleón Gómez Urrutia, the 2011 George Meany-Lane Kirkland Human Rights Award. The award will be formally presented later this year. Click here to read the resolution in English and here for Spanish. Gómez was first elected general secretary of the SNTMMSSRM in 2002 and immediately began challenging government policies of low wages and flexible labor markets, and building alliances with the global trade union movement. When a February 2006 explosion at Grupo Mexico’s Pasta de Conchos mine killed 65 mineworkers, Gómez publicly accused the government of “industrial homicide.” In response to this criticism, the government filed criminal charges against Gómez and other union leaders, froze the union’s bank accounts, assisted employers to set up company unions in SNTMMSSRM-represented workplaces and declared the union’s strikes illegal and sent in troops to suppress them. Four union members were murdered and key union leaders were jailed. In the face of this campaign of repression, Gómez left Mexico for Vancouver, Canada. From there he has waged a five-year effort to win justice for his union and for all democratic unions in Mexico. Despite massive repression, the SNTMMSSRM has continued to bargain contracts and organize new workplaces with the help of trade union allies around the world. Gómez has won major legal victories. Mexican courts have thrown out all of the criminal charges against him and rejected the government’s appeals. The annual Meany-Kirkland award, created in 1980 and named for the first two presidents of the AFL-CIO, recognizes outstanding examples of the international struggle for human rights through trade unions. Previous winners have included Wellington Chibebe of Zimbabwe, Ela Bhatt, the founder of India’s Self Employed Women’s Association, the Liberian rubber workers, Colombian activist Yessika Hoyos and the Independent Labor Movement of Egypt. 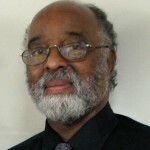 About the Author: James Parks‘ first encounter with unions was at Gannett’s newspaper in Cincinnati when his colleagues in the newsroom tried to organize a unit of The Newspaper Guild. He saw firsthand how companies pull out all the stops to prevent workers from forming a union. He is a journalist by trade, and has worked for newspapers in five different states before joining the AFL-CIO staff in 1990. He also has been a seminary student, drug counselor, community organizer, event planner, adjunct college professor and county bureaucrat. His proudest career moment, though, was when he served, along with other union members and staff, as an official observer for South Africa’s first multiracial elections. This blog originally appeared in AFL-CIO on April 18, 2011. Reprinted with Permission. When I started networking after I was fired, yes, I actually follow the advice that I’ve been writing about for the last sixteen years, I came across an interesting issue. Do you use the “F” word with potential employers? You know, fired. My initial tendency was to avoid it. I moved on, I was let go. Things didn’t work out. You know all these euphemisms. But I decided as part of the “Fired in real time” project, I would describe myself as being fired and see what would happen. I got a call from a possible vendor. I needed to explain what happened, so I described myself as being fired. He seemed to take it in stride. Okay, it might not be a scarlet letter on my forehead, but it definitely is a stain on your credibility to be fired. I did it a few more times, with a colleague, with the person sitting next to me at Rotary and with someone who worked in a store where I was shopping. Okay, I’m not the type of guy who usually tells his life story to retail clerks, that’s the job of my seven year old daughter, but when the clerk asked why I was shopping in the middle of the day, I thought I’d drop the “F” word on her to see what would happen. I’d like to say that the clerk immediately steered me away from the wool suits to the polyester section of the store. But I don’t even think that polyester is part of the Nordstrom vocabulary. What I did observe was a variety of reactions, roreheads crinkle, eyes bear down on you harder and you can see someone’s brain kick into a higher gear. In short, people just check you out closer than usual. You’re not quite guilty, but not exactly innocent either. I think in Catholicism they call it “limbo.” In between. At this point I have to tell you, I’ve all but dropped the “F” word. It’s just got too much baggage attached. Ironically one person told me that I was brave to say it. She even told me a long story of the time that she was fired from a job. But then she said to me that I shouldn’t ever tell anyone that I was fired ever again. It’s just not something that people need to hear. One of my favorite quotes is from Groucho Marx, “I wouldn’t ever want to belong to any club that would have me as a member.” Kind of reminds me about telling someone that you’re fired. It’s a club with millions of members, but no one wants any part of it. My a-ha: Honesty is the best policy, except when you’re fired.